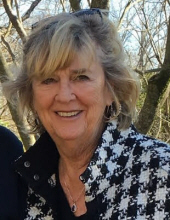 Alice Gibison Tanner Snyder, age 77, passed away peacefully at home surrounded by her family on March 16, 2019. Alice (also known as Cis or Cissy in her youth) was born in Philadelphia, Pennsylvania and attended school in Montclair, New Jersey. Alice graduated from Upsala College in East Orange, New Jersey. Alice has two Master’s Degrees in counseling (St. Lawrence) and in Christian Psychological Studies (PSI). As a child, Alice spent her summers in Seaside Park, New Jersey. She had many fond memories of these summers working at her brother Joe’s hotdog stand, waitressing, and helping rent her parent’s beach house. Alice’s first job was in New York City at the Lennon & Newell Adverting Agency. Alice commuted into the city every day. Later, she was a Social Worker in Newark, New Jersey and worked at the Department of Family and Child Services in Connecticut. Later in life, she was a leader in Stephen Ministry at Perimeter Church in Atlanta and a caseworker for St. Vincent de Paul for Saint Brigid’s Catholic Church. Alice’s motto was “always love God and love others” and she did. She leaves behind a true legacy of servant leadership. Her memory will be cherished by her beloved family and friends, including her husband, Robert Bricker Snyder of Johns Creek, Georgia; son, Jason Bruce Tanner of Cary, North Carolina, wife Beth, grandson Chase and granddaughter Kayla; daughter, Jessica Gibison Nickelsen of Jefferson, Georgia, husband Todd, and granddaughters Alivia and Isabella; daughter, Laurie Baldwin and husband Terry of Toronto, Canada; son, Murray Snyder and wife Jen of Minneapolis, Minnesota; Rob’s son Brad and grandchildren Joshua, Blake, and Tivonya of Millgrove, Canada; her brother, Joseph Gibison Jr. and wife Carole of Timonium, Maryland; her niece and nephew, Kathleen Gibison and Joey Gibison of Baltimore, Maryland; her friends from St. Vincent de Paul, her neighborhood, her church, and many other friends. She was preceded in death by her parents, Joseph Francis Gibison Sr. and Alice Marie McCullen Gibison of Seaside Park, New Jersey. Alice will be dearly missed by all who knew her. She was a loving wife, mother, grandmother, and friend. Alice loved her family and friends deeply. She was strong, passionate, loyal, and creative. Her creativity is apparent in the beautiful paintings she created. Today she is with God. She was a “good and faithful servant” and will be missed by many family members and friends. A memorial service will be held at the Perimeter Church Day Chapel in Johns Creek, Georgia on Friday, March 22, 2019. There will be a visitation from 11am-12pm and a service from 12pm-1pm. A reception will follow. In lieu of flowers, donations can be made in her memory to: St. Vincent de Paul Ministry, c/o Saint Brigid Catholic Church, 3400 Old Alabama Road, Johns Creek, GA 30022. On-line condolences may be made at www.crowellbrothers.com. Arrangements by Crowell Brothers Funeral Homes & Crematory, 5051 Peachtree Industrial Boulevard, Peachtree Corners, GA 30092. 770-448-5757. To send flowers or a remembrance gift to the family of Alice Gibison Snyder, please visit our Tribute Store. (St. Vincent De Paul) https://interland3.donorperfect.net/weblink/weblink.aspx?name=E135450&id=21 St. Vincent de Paul Ministry, c/o Saint Brigid Catholic Church, 3400 Old Alabama Road, Johns Creek, GA 30022. "Email Address" would like to share the life celebration of Alice Gibison Snyder. Click on the "link" to go to share a favorite memory or leave a condolence message for the family.